Download a complimentary copy of this new research from one of the world's leading service virtualization experts. Service Virtualization is essential for initiatives such as Agile, DevOps, and anything positioned as “continuous”. To learn what's needed to remove the barriers which hinder extreme automation, read voke's latest study on the Service Virtualization market. The report cites Parasoft's strength in service virtualization and environment management, ease of use, and breadth of integrations. 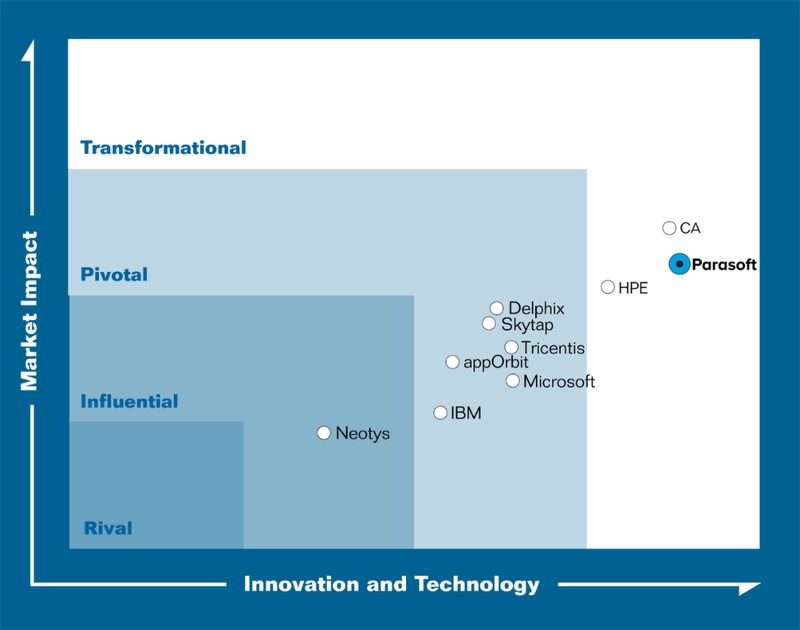 Parasoft received the highest score among all vendors for Innovation and Technology.